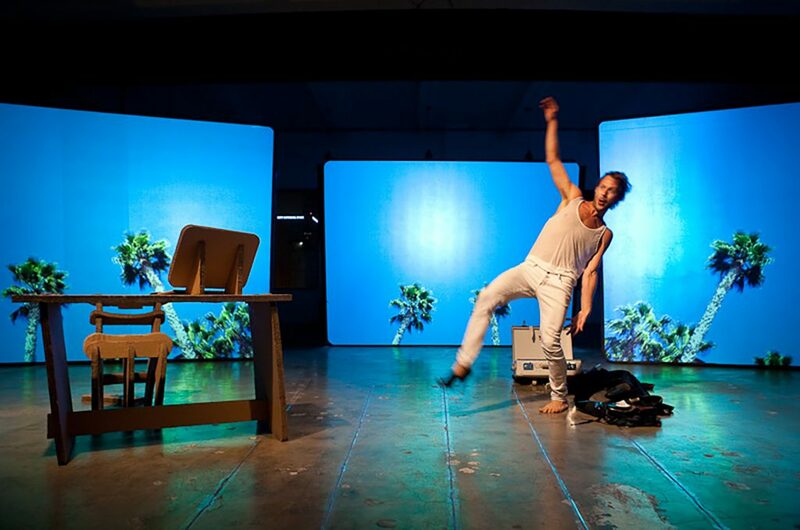 FIRST CLASS MESS is a one-man performance and video installation designed, written, and directed by Christopher Kreiling that incorporates four male dancers who weave in and out of the biographical story’s fantastical, ADD non-linear plot. The show is a multimedia stage-production that utilizes Hi-definition rear-projection video on three 12 x 12 foot screens and figures Christopher Kreiling as the central protagonist. 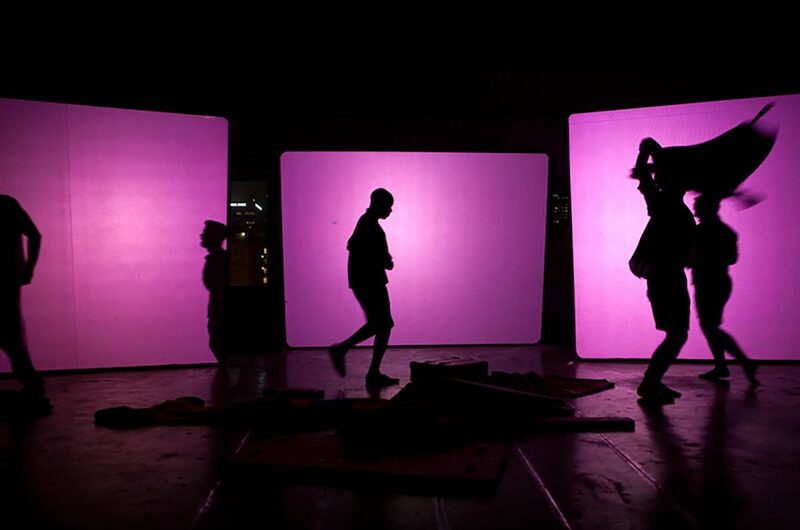 Two of his highly polished video works play a major role in the live performance and many others act as backdrops to visually interact and progress the story. Blurring the lines between art and entertainment, FIRST CLASS MESS employs costume, dance, offbeat narration, and rapid-fire timing to reveal the highs and lows of celebrity as they intersect with normal life. Raised in a household with no rules by his mother, the motto being, looks and beauty are the keys to success, Kreiling’s survival skills for tinsel town were groomed at a very early age. He springboards through many transformations that include such characters as Britney Spears and his own drunken alter ego Betheena. All the while, Kreiling tells the story, from the perspective of a Hollywood insider revealing the darker trade secrets. 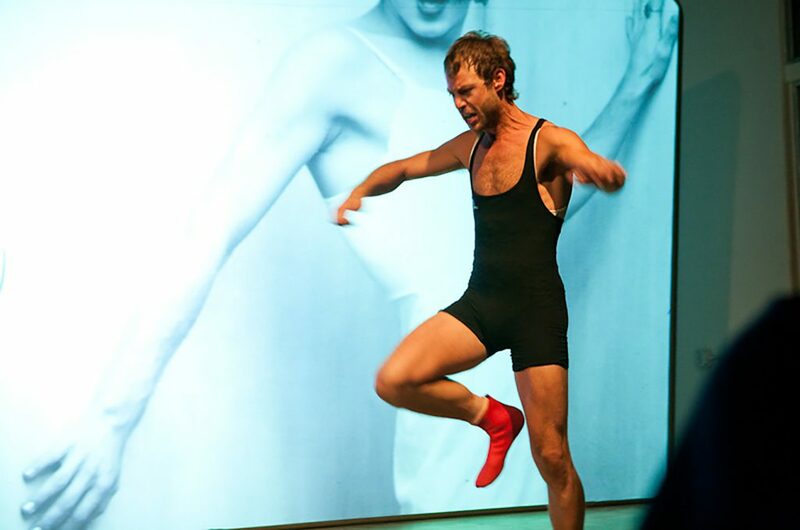 Characters move in and out of the performance in a series of explosive dance numbers that allow Kreiling to transform his persona into the starlets he has worked on over the course of a ten-year jaunt as a designer and wardrobe stylist. The journey is a coming of age tale in which life’s obstacles derail dreams and unexpected paths shape Kreiling’s life. 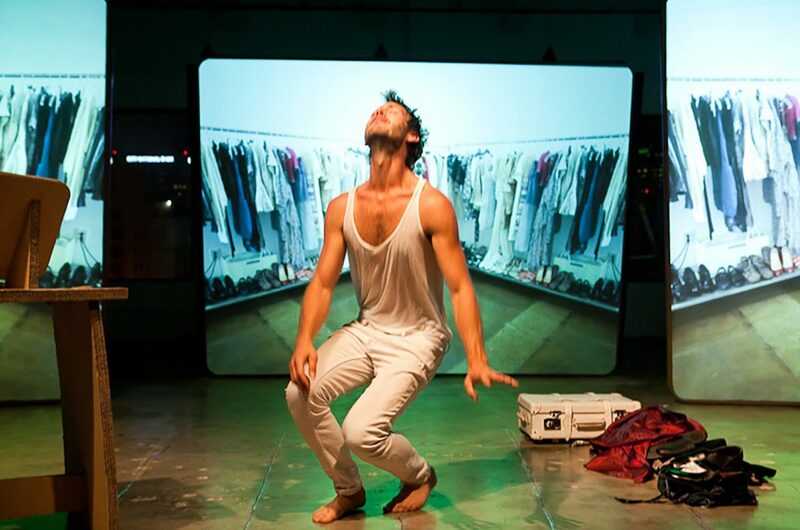 In one video IN-SIDE-OUTSIDE-IN we see a figure being violently attacked by flashes of light creating a storm of strobe in the performance space. Kreiling is revealed on all three screens inside of a mirrored box wearing a codpiece and sport socks as he moves through vanity rituals ending up completely covered in flesh tone base make-up. He then acts a series of eerily cheesy magazine posses we are custom to seeing pop stars do on covers of magazines. IN-SIDE-OUTSIDE-IN is an abstracted example of celebrity as caged animal. The show culminates with Kreiling’s newest video work, a highly camp, cinematic four minute and thirty-three second trailer for his forthcoming feature film titled JAMES BLONDE: Double Glory Hole Seven, the first gay James Bond remake. 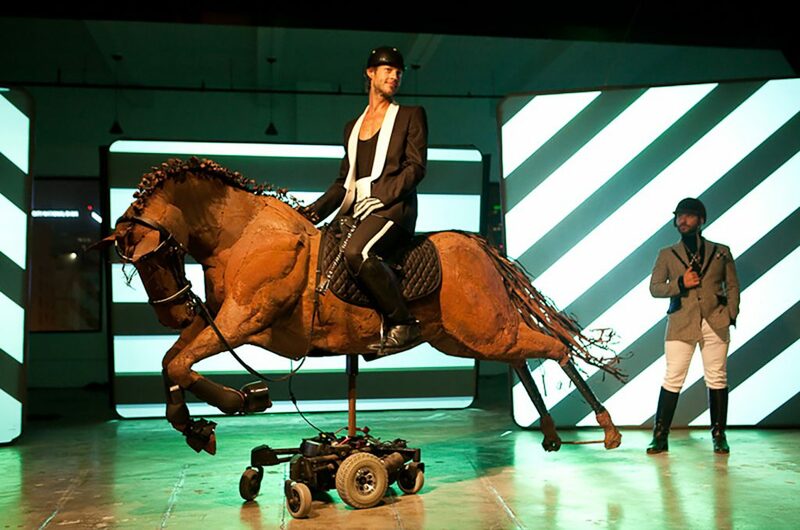 The process for making all of the work, which was mainly done in 2010, was modeled after fast form entertainment production with Kreiling writing, designing, producing, editing, shooting, and staring in the video and live production. 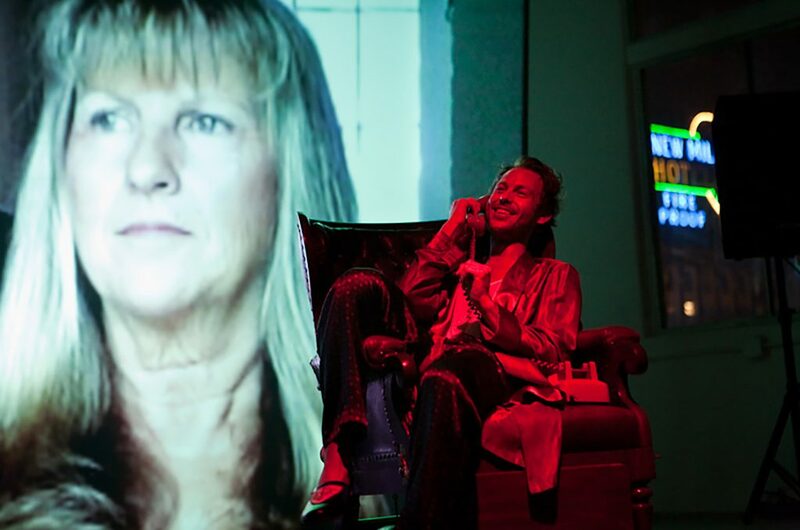 FIRST CLASS MESS is energy packed, experimental, hi-fi, low-fi, and a smoke-and-mirror spectacle that not only engages artists, entertainers, and musicians, yet has wide audience appeal and great potential.